Two more men have been arrested on suspicion of murder in connection with a shooting in a Bristol nightclub. 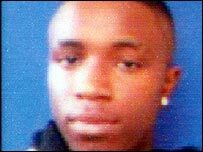 Dean Myles, 19, died of a single gunshot wound after he was shot at Club UK, in Stokes Croft, on 16 September. Two men, aged 18 and 20, have been charged with murder and possession of a firearm in connection with the case. They have been remanded in custody. Three other males also arrested in connection with the shooting remain on police bail. The two men arrested on Wednesday are both from the Easton area of Bristol.